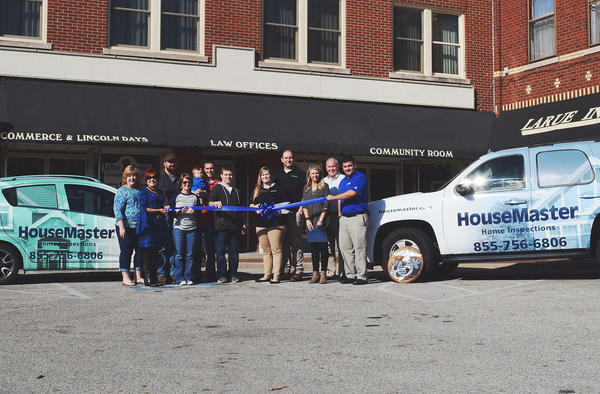 The LaRue County Chamber of Commerce held a ribbon cutting ceremony last Friday for HouseMaster Home Inspections, owned by Brad and Diane Walters of Magnolia. 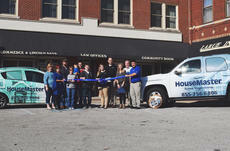 The LaRue County Chamber of Commerce held a ribbon cutting ceremony for HouseMaster Home Inspections. Pictured from left, Allison Shepherd, Pam Stephens, Casey Clark, Katie McDowell, Sebastian and Mac Murray, Brandon Reed, owners Diane Walters and Brad Walters, Chamber President Teleana Davis, Alex LaRue and Jack LaRue. The Walters said they always dreamed of owning their own business, so they set out to find the perfect business that would be a good fit for them. Brad said he went to a job fair and found “The Entrepreneur Source”, which is an agency that matches a franchise to prospective owners. Diane said Maamry helped them find a business that would not only suit them but also the county. “We’re here in LaRue County and want to keep business here, and be able to give back to the community,” Diane said. More than home inspections, the Walters said HouseMaster strives to educate their clients by providing information resource guides that tell what is normal for a home according to it’s age. “We also have a dedicated call service. Often, you’ll find that inspectors can’t answer their phone because they are busy or with a client. This way clients will always have some one to answer,” Diane said. “We’re here to stay,” they both said. “LaRue County is home, we look forward to serving and being able to give back to the community,” Diane said. Brad is a Marine Veteran and native to LaRue County. He graduated from LCHS in 2000 and coaches wrestling at LCHS. Diane is retired from the Marines and is originally from Chicago. They have two children, Josh, five-years-old and Katherine, three-years-old. HouseMaster Home Inspections has no set hours. You can reach them at 1-855-756-6806, visit their website https://housemaster.com/574, email them at brad.walters@housemaster.com or find them on facebook at www.facebook.com/housemasterofcentralky.